Welcome to Spirit of Hope! Welcome to Spirit of Hope. God is leading us in a new direction, reinventing and re-forming our ministry. 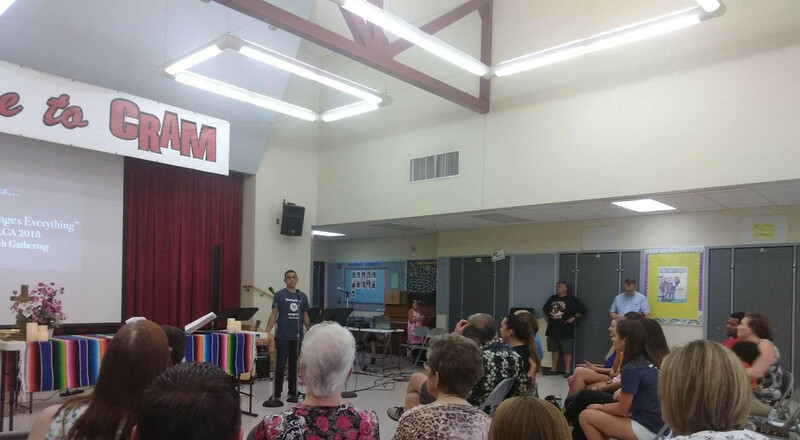 We have recently relocated our ministry to Highland, and currently worship at Cram Elementary School. We hope that you will come worship with us to experience Hope, and the presence for Jesus, for yourself. Whether you’re a lifelong church-goer or this will be your first time in a worship service, you’ll find a warm welcome here at Spirit of Hope. You're invited to come to worship this Sunday and experience Spirit of Hope for yourself. We gather at about 10am every Sunday morning for a refreshing, inspiring time of relaxed, joyful, hopeful, spirited worship together. Please join us, expecting to connect, engage and experience the presence of Jesus! Worship will begin with uplifting, powerful music from a variety of sources—praise and worship and contemporary Christian music, Gospel and old hymns, played and sung in new ways—followed by an inspirational, faith-building, Bible-based message. 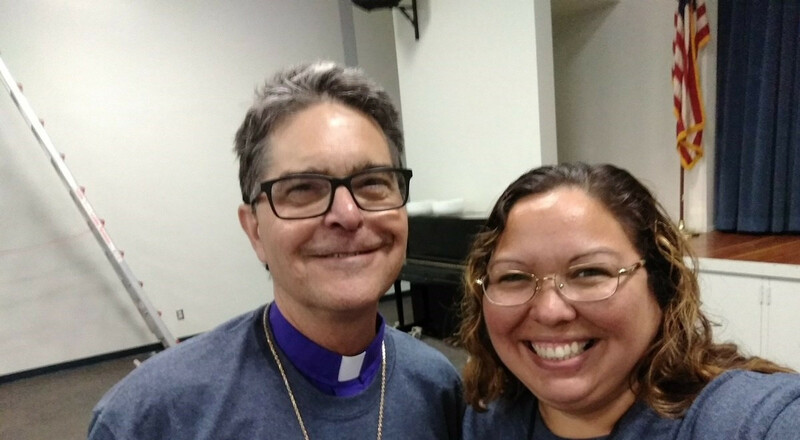 We usually share the Lord’s Supper (also known as communion) before being sent back into the world to share God’s love with those we meet during the week. Although worship will be over about 11:30am, we encourage you to hang around with your new friends afterwards. We are a Bible-grounded, Jesus-centered, family-friendly, multi-cultural, grace-based church that warmly embraces everyone, especially the most hurting and broken. We are a church ANYONE can come to. You don't have to be "religious" or a "church-goer" to be a full part of our community. We are truly multi-generational. Our congregation includes people of all ages. Children, even babies, are welcome in worship—you may even see happy kids dancing up and down the aisles during worship. 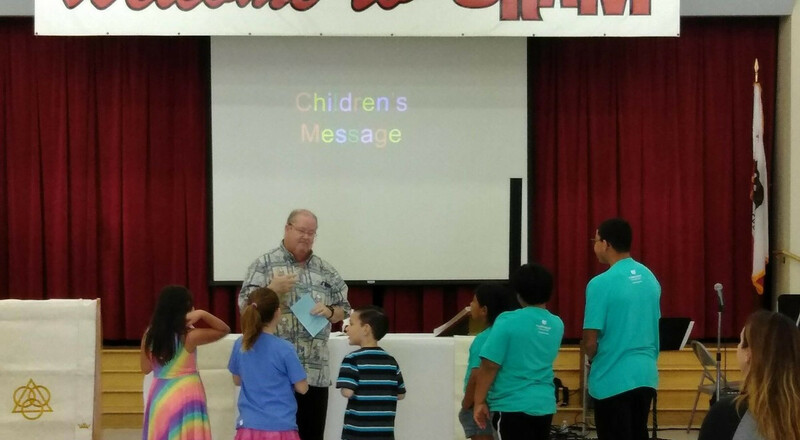 We all gather together for worship, then we provide age-appropriate activities and biblical learning for children ages 3 thru 6th grade after our initial gathering time. Being “family-friendly” doesn’t mean that you need to be part of a “traditional family” to worship with us. Many of our adults are single, and you’ll be welcomed whatever your family situation is. We don’t have a dress code, and you’ll notice a lot of variety in what people wear to worship. Some come in jeans or shorts and T-shirts, some come in dresses or shirts and ties. Come however you are comfortable. God looks on the heart, not a person’s clothes. God is doing a new thing at Spirit of Hope. Come worship and let God tranform your life so you can go out and change the world. Starting Dec 2, we will be joining Lutheran Church of Our Saviors for worship! We gather for worship every Sunday about 11 a.m.
You're invited to come meet Jesus in His Word and the bread and wine (grape juice if you prefer) of the Lord's Supper. We're glad God has led you here. We have been studying stories of the Old Testament through our Holy Moly curriculum. We welcome children ages 3-13 to participate in this in-depth learning of familiar Bible stories. We appreciate Amy Kamiyama, and Jenny Evans, who plan and teach the Sunday School lessons. If you have interest in teaching or supporting the Sunday School program, please see Amy Kamiyama. 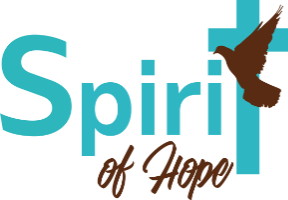 The Spirit of Hope Youth Group is for teenagers in 7th through 12th grades. Our Youth Group meets jointly with the youth of Lutheran Church of Our Savior, two Tuesdays a month. Call the office or talk to Becky Tarts for more information. We gather together for an informal potluck and discussion on the last Thursday of every month, in members' homes. Our next potluck will be 7 p.m., Thursday, November 29, we will meet at the home of Amy Kamiyama. Please come for fun, felllowship, and good food. Call the office if you have questions or need additional information. We periodically serve the Sunday night community meal at Central City Lutheran Mission. We will next serve dinner on Sunday, December 2. You're invited to come help us live out the good news of Jesus Christ by serving our neighbors. The Eden Center Bible Study meets Wednesdays at 10 a.m. at the Rec Room of the Eden Senior Residential Center, 2355 Osbun, in San Bernardino. We typically read and discuss together the preaching text for the following Sunday. You're invited.